Home » "War in Donbass will be imposed on us by Washington and Kiev"
"War in Donbass will be imposed on us by Washington and Kiev"
Alexander Gelyevich, here’s a question for you as the acknowledged ideologist of the Russian Spring: How do you assess the current situation in Novorossiya? What was conceived in the beginning and what has actually come about? 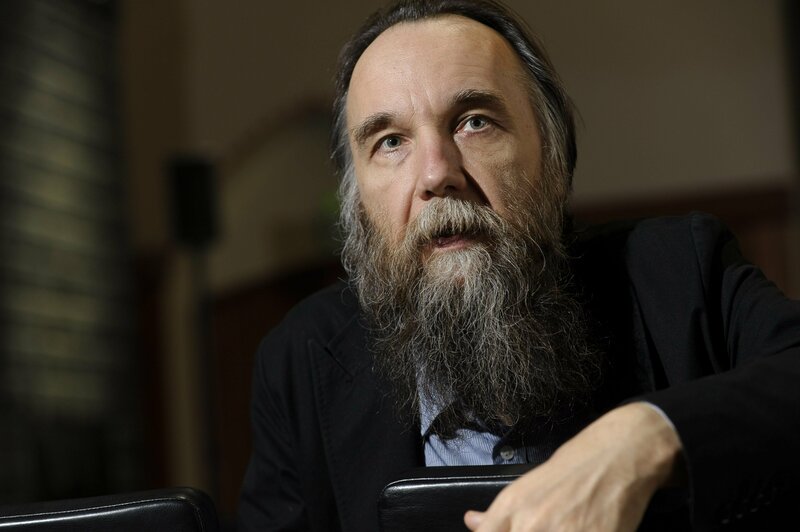 Alexander Dugin: I’ve long refrained from any commentating on what’s happening in Donbass, and there were serious reasons for this. Now, a few cycles of reflection on these dramatic events, which are known as the “Russian Spring”, have passed, and we now have the possibility to have a more balanced, calm, and analytical attitude towards the subject, which for me personally was a colossal, heartfelt, spiritual wound. The topic of the “Russian Spring” is my direct and living pain. I can not speak about it calmly. It’s not just about the loss of loved ones - it is the deepest strike at the very center of those expectations which I had in regards to Novorossiya and the revival of Russia, its spirit, and its identity. The matter at hand is the reawakening of Russia. For a long time I couldn’t speak on topics of this kind, refrained from commenting and shied away from assessments due to the deep trauma that I experienced as one of the first enthusiasts of the rebirth of Great Russia, starting with Crimea through to Novorossiya and so on. Now it’s not trauma that is ongoing but, at least, a wound whose severity is healing. Having given this introduction, I would like to make an analysis of how I see the situation. Russia is not the Russian Federation. Russia is the Russian World, a civilization, one of the poles of a multipolar world which we ought to be and which we are obliged to become. The history of Russia is like a heartbeat. Our Russian heart shrinks and expands. It shrank after the collapse of the USSR and our territory was reduced as happens often in history such as, for example, in 1917, but each time our borders expand again. At the end of the ’90’s and the beginning of the 2000’s, there was a crisis. As a geopolitician, I follow the pulse of Russian history - this is also my pulse, and my heart pounds exactly in rhythm with the heart of my country and my people. I awaited a diastole. To make things clearer: the rhythm of a heart includes systoles and diastoles, or contractions and expansions. A diastole, accordingly, is an expansion. Each time that our heart ceases to contract and begins to expand, so does our Russian civilization once again start to return to its own (natural, continental) forms. In the first place, this return was associated with the integration of the post-Soviet space. The very term “Eurasianism” is this diastole. Eurasianism is when Russia unites all the post-Soviet, and in fact Russian, Imperial, civilizational space, imparting the cultural category of the Russian World with a geopolitical and military-strategic dimension. And thus I awaited this diastole, but I didn’t simple wait, watching (as people wait for the bus), but I in every possible way promoted this cardiac phase as an ideologist and active practitioner of Eurasianism, of integration processes in the post-Soviet space, and as a consistent apologist for the revival of Great Russia. Greater Russia. It needs to be said that all the signs of this new expansion were staring us in the face: the beginning of Eurasian integration in the form of the Eurasian Economic Community, and then the creation of the Eurasian Union, the forcing of the pro-Atlanticist regime of Saakashvili to make peace, when we first went beyond the borders of the Russian Federation and didn’t allow the suppression of hotbeds of pro-Russian resistance in the South Caucasus, South Ossetia, and Abkhazia, and, of course, in response to the actions our enemies - the Atlanticists who attempted to take the brotherly Ukrainian people under the control of American hegemony - the annexation of Crimea. In all of this I saw the expansion of the Russian heart, a geopolitical diastole. Further, Novorossiya logically followed Crimea, and I don’t see any difference between them. I am absolutely sure that, if we lose Donbass, then we will lose Crimea, and then all of Russia, because if we interrupt a diastole, then heart failure, a chip in our historical existence, in our historical rhythm, occurs. Therefore, I fought hard for the Russian Spring and against the betrayal of Novorossiya. I’ll repeat once more: the Russian Spring is a requirement of our Russian historical existence. Russia will either be great, or will not be at all. Great Russia - this is not only a territory or expansion, as we do don’t need anything else. And I’m not against the existence of a sovereign Ukraine, if only it would be our ally or partner or, in the least, a neutral, intermediate space. We would like to be together in one state, but on this the citizens of Ukraine must decide. But what exactly shouldn’t be allowed is an Atlanticist occupation of Ukraine. This is a geopolitical axiom. Our enemies perfectly understand that Russia can become great again only together with Ukraine, either unified or having built some kind of balanced alliance. There is no other way. The Russian Spring is impossible without a Eurasian pivot in Ukraine, no matter what form, peaceful or not, that it takes. Ukraine can be an autonomous and independent state exclusively among our allies. If it were to come under occupation, then we are obliged to liberate it or, as a minimum, guarantee the historical existence of the half of its population which is linked with us by faith. Doing this is our duty, our unconditional historical imperative. If we do not fulfill this, then we betray our own people, ourselves, and our history. From the very beginning of the Russian Spring, I spoke openly about this and I have not changed my opinion thus far. Despite this, I believe that criticism of the leadership of the country, which for its conduct in Donbass it fully deserves, is inappropriate now. Although criticism arises (albeit from the patriotic pole), it is immediately picked up by the West in the fight with Russia itself. Criticizing the government, one unwittingly becomes part of the enemy’s ranks. And this is unacceptable and contrary to allegiance to the homeland, which, in fact, is in a state of direct conflict with the main enemy - the US and NATO bloc. What is left to do? Thank the government for the suppression of the Russian Spring? Stand among the ranks of Russia’s enemy in criticizing the government? Anyway this government is still continuing the same patriotic rhetoric,-albeit a bit empty and sometimes even like a simulation. It’s suppressing not only the best, but also the worst. In each case of half-heartedness, there is that which is hateful towards us, but also that which is hateful towards our enemies. This is the well-known dialectic of the glass half full of water. Half-patriotism is half-liberalism, and the milligrams [of water] on both sides are regulated, so that there would be a balance...Here is why I was silent the whole time. Criticizing the glass, which is half full anyway, we attack not only the void, but also the second half in the name of which we are acting. This is called an epistemological impasse, an aporia. Has Russia had a heart failure, has the diastole ceased? I've spoken too much on the topic of Novorossiya, because now two events have happened - big and small. The first is Syria. The Russian Federation, not carrying out the creation of a perimeter of Great Russia, Greater Russia, and the Russian World to its end, and leaving the bleeding wound of Donbass in the terrible that it’s in, has now spoken out in defense of our geopolitical interests in the Middle East. This is a more distant goal, but not less important. And I, as a geopolitician, can say that our intervention in Syria is absolutely correct, flawless, sound, and an orthodox step in protecting our national interests. I’ll explain. As we see in Afghanistan, Tajikistan, and Uzbekistan, and even in the North Caucasus, trends towards an increase in the influence of ISIS are growing. And if we were not fighting ISIS in Syria, then we would have to do it in Central Asia and then, perhaps, on the territory of the Russian Federation. This is the plan of the Americans. Islamic fundamentalism has traditionally been an instrument in the structure of American and Atlanticist geopolitics, and this is an obvious point. The Islamic State is an American special operation directed against the opponents of American hegemony in the Middle East, and this includes (and is primarily) against us. When we, at the request of Assad, invaded Syria, we once again returned to history, again appealing to the diastole of the Russian heart. This comes after a stupor, Minsk, indecision, hesitation, trade offs, and a dubious tug of war. After a bloody pause. Look at what is happening now. We are fighting against the essence of the pro-American, crypto-Atlanticist, fundamentalist sect that is ISIS, in order to inflict a blow on it as far away as possible from our borders. Otherwise, we will fight with them here. This indicates the presence of a strategic, geopolitical conscience among the leadership of the country, and this is encouraging. Support for Assad is also a part of the Russian Spring, the assertion of Russia as a subject, not an object of history, a gesture towards strengthening our sovereignty. The second point is that, no matter what, our border with the republics is controlled by our friends from the LPR and DPR. Another point. The fact of our military support for Assad in Syria, although real and effective, is still without a guaranteed result (the immediate results are generally very impressive and positive). Therefore, the Americans are vitally interested in an escalation of hostilities in Donbass in order to make the whole situation more difficult for us. And anyway, Poroshenko, who received little support in recent elections in Ukraine, is interested in the same. For him, the war is now the only way to maintain power. The war in Donbass will be imposed on us by Washington and Kiev. Not we, but they, despite the Minsk agreements and our attempts to get out of direct confrontation by any means, will launch hostilities. Accordingly, we return to the point which I interrupted with a commentary on events. As I predicted, the situation cannot have another solution other than the defense of Novorossiya from the pro-American, neo-Nazi junta, which was a junta and remains a junta, and whose neck it is time to snap. Sooner or later, we will return to Novorossiya. Of course, it’s already late, but not critically late. He who controls the border of the DPR and LPR with Russia controls everything. We are at the threshold of a new cycle, a new stage. We Russian people have seen many things in history. We’ve seen different Tsars, leaders, different regimes, and we have often retreated and met historical dead ends. There have been stagnations and uncertainties, but we always reached for our horizons, and now I feel a new expansion of the Russian diastole. This is why I am ready to break analytical silence and more calmly talk on topics which now interest all Russian people, people who all understand and feel that they are also fighting, sacrificing themselves and fighting for our Great Homeland. Alexander Gelyevich, what do you think of the Minsk Agreements? Is this really a path to peace? After all, there is a number of fundamental contradictions which they have not resolved. The Minsk Agreements really haven’t resolved any contradictions. This is just winning time. We and the Ukrainians have tried to take advantage of this delaying of the final fight. We wanted to demonstrate to Europe that Crimea is ours, but that we were ready to discuss everything else. This was rather immoral, and I’m not sure if it really yielded any result. Nevertheless, we broadcasted this message, and those at the top were tasked with demonstrating our peaceful intentions. The shelling of Donbass cities, the murdered people, the mockery of the people of Novorossiya (not to mention the militia) - to me this price seems excessive for such a demonstration, so I have always been an opponent of the Minsk Agreements. They cannot be a solution to the situation, and this is obvious. No one on any side believes in them. We tried to wink at Europe, to show that “we are wonderful” and say “throw out the Americans.” They [the Americans] were the ones who brought the situation to such a critical point. This wasn’t successful and couldn’t be. The influence of the Atlanticist elites in Europe is quite strong, but we still tried to do this. As regards Ukraine, Poroshenko demonstrated the same thing. This was not a game with America, but with Europe. Poroshenko says: “I’m sitting down with the Russians at the negotiating table. Look how democratic and decent enough we are to be ready even to discuss peaceful agreements with “terrorists,” because we so want to be in Europe.” That is, Poroshenko didn’t want to report before America, but before Europe. We and the Ukrainians competed in a certain diplomatic battle to attract Europe to our side. But this wasn’t successful - they didn’t believe us up to the end, and they didn’t believe us after Crimea, but after Syria this already became clear. It’s all about confidence and power. My declared ourselves a sovereign and strong regional power, and let others understand that now it is necessary to perceive us as such. Not our diplomacy, but our real strength. Historically it has turned out that if we are strong, then they’ll consider us, but if week, then there will be no consideration. Therefore we didn’t persuade Europe, and we couldn’t convince by such ridiculous negotiations. But then they were convinced by our air strikes on ISIS and other terrorists in Syria. Poroshenko didn’t convince them, and he couldn’t convince them because Europe, from the very beginning, did not really engage in the Kiev Maidan. The Americans promised that everything in Ukraine will be really fast, and the Europeans won’t incur any responsibility for what’s happening. Moreover, the Americans forced European leaders (especially Hollande and Merkel) to participate in the Maidan. The “young partners,” or, more precisely, the vassals of Washington naturally don’t have greater freedom of action. When Europe turned out to be an accomplice of the US and started to impose sanctions, then it realized that deliveries of gas were being put into question. Then Europe shrunk back in horror from the Russians and Ukrainians, preferring that everything be turned back to how it always was. The Normandy Format and the Minsk talks essentially revolved around whether or not it would be possible to turn back, or at least extend the status quo. Now, as long as the Minsk Agreements are recognized by everyone, there is already simply no other exit for Poroshenko and Washington except by breaking them unilaterally and beginning the final battle for Donbass. For the Americans, this is a way to distract us from Syria, opening a second front which is the only way by which Poroshenko can maintain power. It’s nothing personal: they’ll impose this war on us. We will shy away from this war and cling to the Minsk Agreements for the same reasons. We don’t need a second front and need a falling, not strong, Poroshenko so that Ukraine will collapse before Donbass will be once again annexed by the Nazi state. We will shy away from direct conflict, and I can even assume that comments like mine will be censored by major media outlets. But we have seen this and it is such. Our bet is not to allow the Ukrainians to impose war on us and not give them the opportunity to take control of the border. This is the main indicator: as long as the republics of Novorossiya control the border, the situation can more or less be characterized as normal, but if it’s given up, then this will be a fully fundamental failure. Much is being decided now and history is again open. We haven’t resolved the issue of Novorossiya, and have merely postponed its resolution. It reminds us of ourselves. Accordingly, the Minsk Agreements, which we will try to hold on to, will be gradually destroyed and abolished in different ways. We will see soon. Does this mean that an intensification of hostilities is not far off? It is inevitable. The war can only be delayed for a little while, and Russia is putting certain efforts in this direction. Because now a war isn’t favorable for us, and we are less ready for it than we were a year ago. Is an Ossetian scenario possible? In the case of a violation of all agreements the Ukrainian side will attack the young republics, then will Russia, as it was with Abkhazia and South Ossetia, bring in troops and recognize their independence in order to force the aggressor to make peace? This would be correct. This scenario was highly relevant at the very beginning of the Russian Spring. In fact, in this scenario it was assumed that there will be not only geopolitical control, but that these regions would return to the space of Great Russia, bringing with them a new spirit and awakening a Russian light. This idealistic dimension, extraordinarily important, is now completely lost because of the subsequent trade off of Russian interests. Maybe this trade off was justified, in part, from a diplomatic point of view as a preparation for the final battle. I think not, but I’m ready to allow for such. But there is another side. Having started haggling, we struck a huge blow at the spiritual dimension of the Russian Spring and at Novorossiya as an idea. This is irreversible. From a tough, tactical and technical point of view, this might be explained with some kind of reasons, but from a spiritual point of view this was a moral crime when we didn't go for the Ossetian-Abkhazian scenario at the moment when Ukrainian punitive forces started to bomb the cities of Novorossiya, massively destroying the peaceful population - we’ve all seen the footage. Our response was morally obvious, but we took a different decision. That is, regarding national interests, we still haven’t failed, but we are much worse in terms of values. In this respect, the Minsk Agreements are an immoral tool, peculiarity of understood interests, but there are no values for any of the sides. This is a purely pragmatic enterprise. There are people for whom history is a technology, but I believe that history is spirit. There are civilizational settings which it is impossible to sacrifice for technical interests, even the most peculiarly understood and controversial. Consequently, the Minsk Agreements are a morally questionable pause. But we are going to keep them since we started playing the game. If there is a problem with values, let at least interests be realized. It’s necessary to recognize a simple truth: they won’t leave us alone, and it its best to recognize this immediately. History is always a choice, often a choice in the face of death. The average person runs away from this and tries to barricade himself from problems, but if a government behaves like a layman, then this government is transitory. History begins when the top of the vertical power takes an existential - historic - decision, and this means looking death straight in the face. It’s possible to try and run away, but history catches up to us no matter what and there are signs that she’s catching up with us. We at least cannot leave Syria without victory. And if they challenge us and rip up the Minsk Agreements in Donbass, then we will need not one victory but two. And I am sure that we are quite ready for this and we can do it. But we need to give up the politics of half a glass. Our great people and valiant army have enough strength, fortitude, and courage for great victories. Another thing is whether the political leadership of the country has enough brains, courage, and will. Now all the questions put before them, and we will see how these people respond to their call by history. They think all the rest should bear the responsibility for what is in front of them. This is so. But they will be judged before the court of history. And the court of history is a scary thing. It is like God’s judgement, and it is impossible to bribe or use an administrative resource.